2. Among the three gadgets (laptop, phone and tablet), which one do you always use for online studying? 1. When did you start taking online classes? 2. What do you study online? 3. What’s the best experience you’ve had so far in studying online? 4. 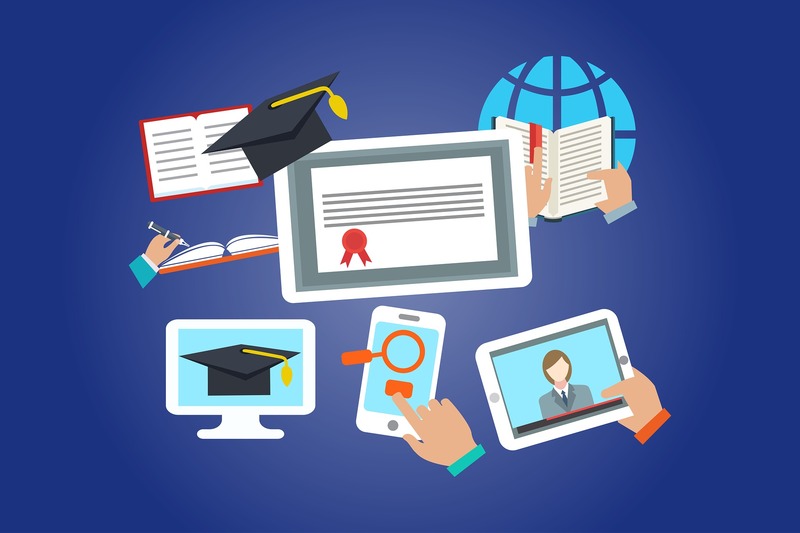 Do you think online education is becoming more efficient than studying in school? 5. Which do you often use for studying? Actual books or electronic books? 6. Has online education been helpful to you? In what way/s? 7. Is online education inexpensive in your country? 8. What do you want to improve in online education? example: He enrolled in an online education this summer since it’s inexpensive. example: Studying online is efficient nowadays. example: Since he failed his online Math quiz, he has to go back to basic until he pass the quiz.